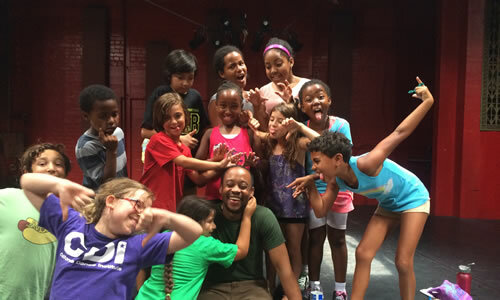 The program consists of rigorous, exciting storytelling and playwriting sessions throughout the day, creating short plays out of improvisations with prompts, autobiographical moments, and stories the group creates together. 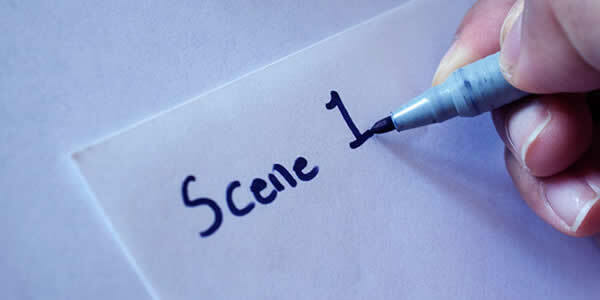 We will also discuss the art, craft and business of playwriting. 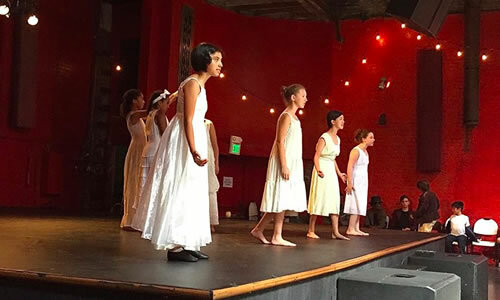 The playwrights will work with an ensemble of actors made up of professional actors and LADC actors, who will perform the plays at the end of the week. We not only explore Shakespeare’s plays set in Greece and Rome, but his references to mythology and Greek and Roman Gods, and the perspectives of Philosophers like Plato, Epicurus, Ovid, Lucretius, Seneca and Cicero. We explore some of the connections between Shakespeare, and playwrights such as Sophocles, Euripides, Aristophanes and Plautus. And we introduce the basis for all modern books, plays and screenplays – Aristotle’s Poetics. 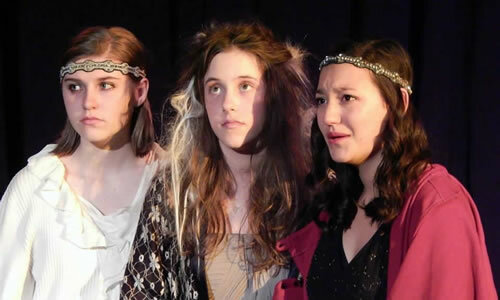 With this rich banquet of ideas, we create original skits and weave them with Shakespeare’s Greek & Roman plays. LADC has always used Viola Spolin’s Theater Games as one of the foundations of the way we approach Shakespeare, and we are thrilled to have Aretha Sills with us this week. Ms. Sills is the granddaughter of Viola Spolin. She studied Spolin’s improvisational theater games for many years with her father, legendary director Paul Sills, creator/director of The Second City and Story Theater. Our Players will be introduced to a series of games and exercises designed to unleash creativity through spontaneity, focus, and play. They will have a chance to develop the sensory awareness and communication skills needed on-stage and in daily life in an encouraging and joyful environment. What do Shakespeare’s plays have to say about the world we live in today, about social justice, corrupt government, violence in society, etc? We’ll take a deep-dive into some of Shakespeare’s most controversial works – including those works that some presume racist, anti-Semitic, sexist, or irrelevant – and dig into what a modern audience can learn from them. The works of Shakespeare are filled with song. 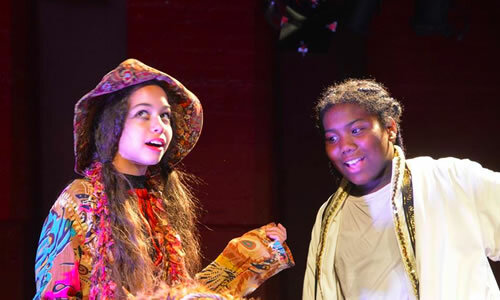 As always, students will spend their days discovering Shakespeare using a variety of physical and vocal disciplines – with the ultimate purpose always to invoke the creative spirit that exists in every child. But for this special week, we will pay special emphasis to the plays where his words are accompanied with music and dancing. 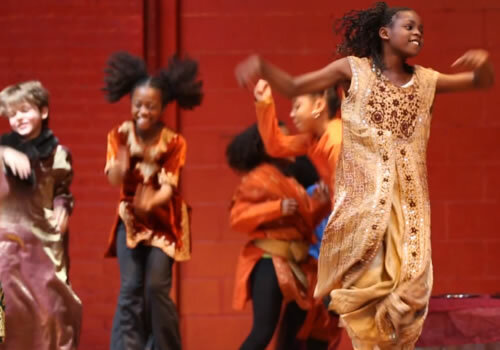 Participants need not be singers/dancers – each child will have the opportunity to explore within his/her comfort zone, and encouraged to reach outside of it when ready!